Everything in the United States begins at the grassroots. Clarity is the key. No one wants to be judged by vague standards, and everyone, every juror, wants to know what they’re responsible for, what they’re accused of, what standards they will be judged by - and how those standards will be applied. Richard O. Faulk is Of Counsel at Davis Wright Tremaine LLP in Washington, D.C. He has decades of experience as a trial and appellate lawyer in environmental and toxic tort litigation, including briefing and arguments in the United States Supreme Court, various Courts of Appeal, and trial practice in numerous states. 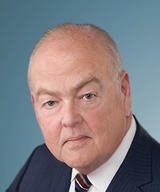 His law review articles on public nuisance litigation have twice won William Burton Awards for Outstanding Legal Writing at the Library of Congress. He can be reached at rickfaulk@dwt.com.